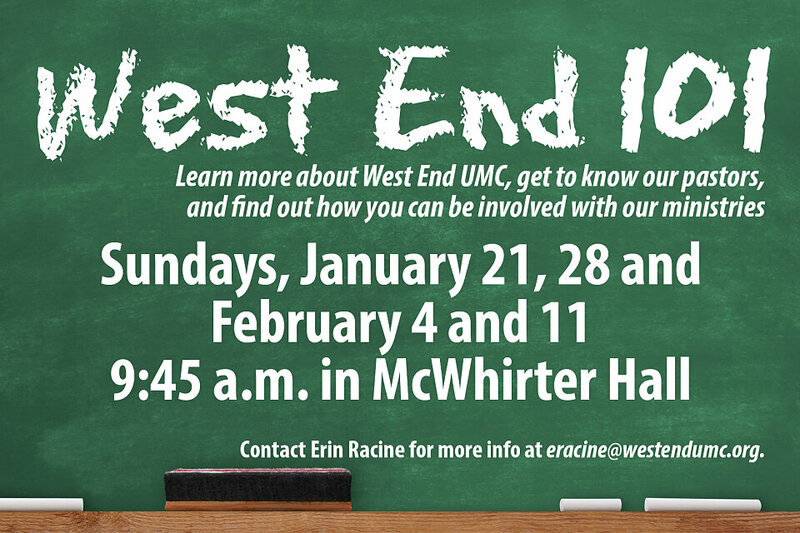 Learn more about West End UMC, the United Methodist Church, and how you can connect with West End's ministries. This 4-week class will begin January 21 at 9:45 a.m. in McWhirter Hall. The class is very drop-in friendly, so feel free to come to any or all sessions. WE101 is a resource to help you connect, but not a requirement for membership. If you'd like to meet personally with a pastor to discuss membership, or if you have questions about WE101, please contact Erin Racine at 615.321.8500 or eracine@westendumc.org.